Vancouver's Breakout Festival took over the PNE Amphitheatre this past weekend for its inaugural edition, though fans in attendance were let down after headliners Migos abruptly cancelled their bill-topping appearance at the last minute. The trio reportedly axed their set just 20 minutes before they were expected to hit the stage last night (June 10). The festival's organizers broke the news to attendees over social media, bumping Lil Pump up the lineup to take their place. Migos added a statement of their own, saying, "We love Vancouver and really wanted to make it to BREAKOUT Festival tonight. We hope you continue to support this festival. We'll make it up to y'all soon." They also reiterated the sentiment today on Twitter. For reasons beyond our control Migos didn't make it to Vancouver tonight. We'll make it up to y'all soon. Despite the promises from the group, plenty of people took to social media to voice their displeasure. The anger was only compacted by additional no-shows from fellow festival acts A Boogie Wit Da Hoodie and Kodie Shane. Migos bails from breakout festival in Vancouver as the main event. Slippppppery! @Migos y'all not welcomed to Vancouver anymore. 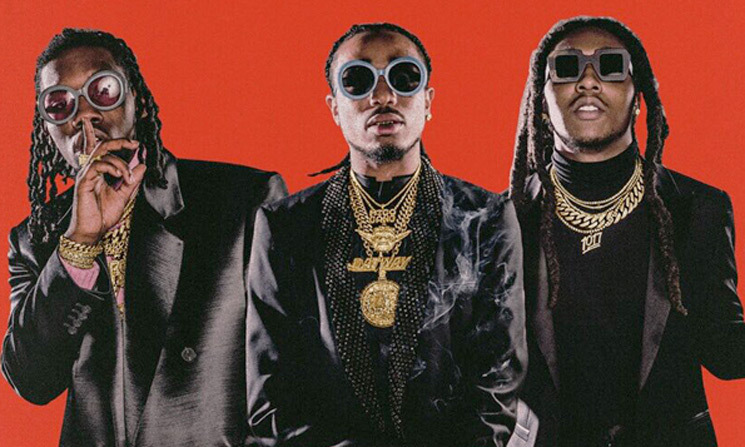 As it stands, no plans have been announced to reschedule the show, though Migos will visit Canada as part of Drake's upcoming "Aubrey and the Three Migos Tour." Organizers for Breakout Festival have yet to respond to requests for a refund.